Could ‘The Safe’ Fortnite concept rival Supply Drops? Crack the safe and you get a Legendary item. 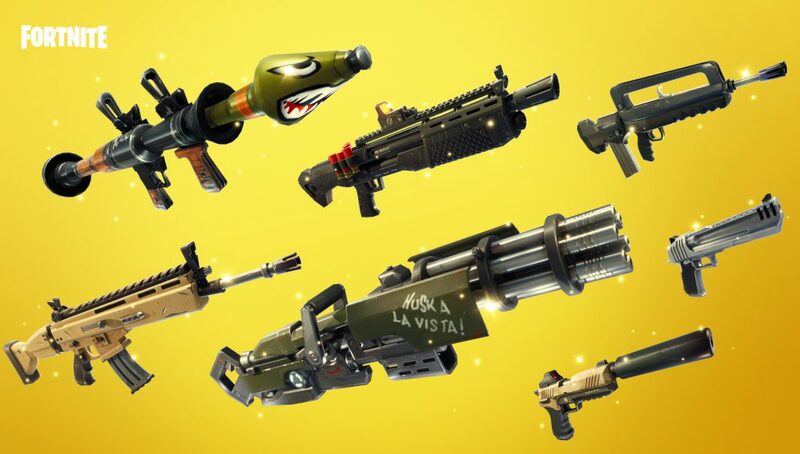 Epic Games has always shown a willingness to introduce new items into Fortnite. With the inclusion of Vending Machines, it doesn’t seem too outside of the realm of possibilities to see this fan-made concept enter the game. 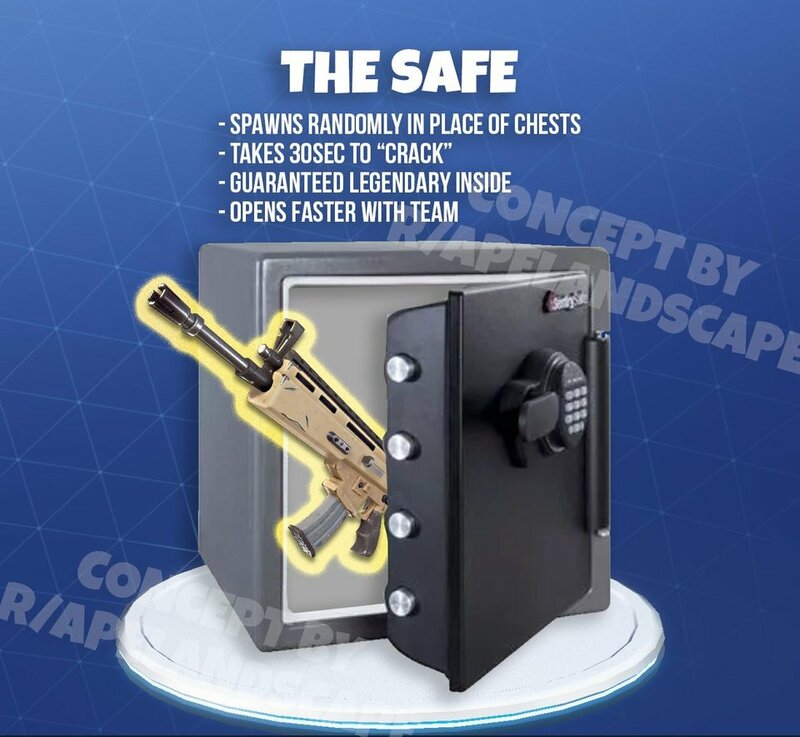 The safe, a concept created by Reddit user ApeLandscape, would randomly place a safe in the place of a chest that guarantees a Legendary item inside no matter what. It would take 30 seconds to open but it would go faster with more people willing to help out. While this does seem like a cool concept on paper there does appear to be some design flaws. One of the glaring weaknesses is something arguably better than this already exists in the game. The Supply Drops drop strong loot and don’t take nearly as long to open up. The safe could easily be improved by dropping multiple Legendary items instead of just the one which makes risking the 30 seconds have a lot more payoff. The safe would be handy to run into if you’re by yourself with no enemies around but it doesn’t seem very viable outside of that. Alternatively, players could use the safe as a trap since it takes so long to open. Players would easily be able to get the drop on unsuspecting players looking for some good loot. This method would also give traps more uses in the game and could result in some hilarious moments. What do you think about this new concept? Do you think it would have any legs if it was added into Fortnite? Let us know in the comments below.